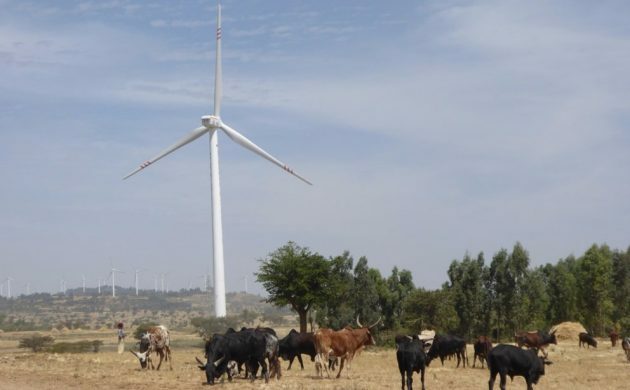 Danish wind energy competencies will in the future assist sustainable transition in Ethiopia after the two nations signed a new agreement regarding the expansion of wind energy in the east African nation. The Energy, Supply and Climate Ministry will co-operate with the Foreign Ministry and Energinet.dk to contribute to the program ‘Accelerating Wind Power Generation in Ethiopia’. “Ethiopia is an active and constructive player in international climate negotiations, and it has targeted ambitions for the expansion of wind energy,” said Lars Christian Lilleholt, the energy and climate minister. As part of the deal, the Danish energy authority, Energistyrelsen, will help design and plan a series of bidding rounds for large wind turbine projects in Ethiopia. Aside from attaining more competitive prices, the Ethiopian government hopes the deal will help attract private investors and banks to the green development of the nation’s electricity supply. Energistyrelsen will also station a Danish energy consultant in Addis Ababa – a move that has proven successful in co-operations with other nations. And in tandem with Energinet.dk, Energistyrelsen will also help ensure an effective integration of wind energy onto the Ethiopian electrical grid. Denmark has similar co-operation deals in place with Indonesia, China, Mexico, South Africa, Turkey, Ukraine and Vietnam.